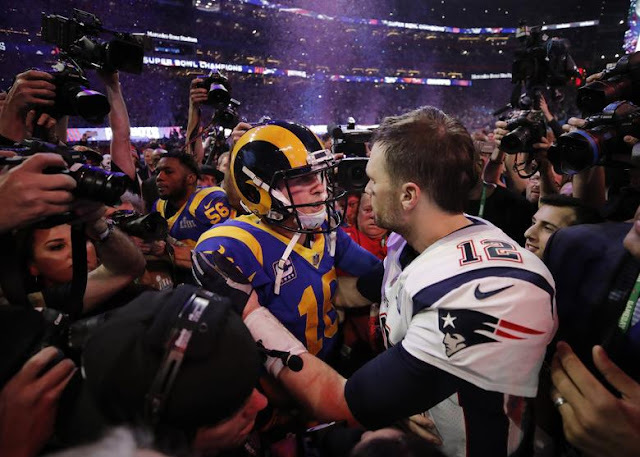 While the Patriots and the Rams were locked in the lowest-scoring Super Bowl ever, there was another battle going on during the breaks. Each year, companies bring their best to create a memorable Super Bowl commercial, but it's easier said than done. Things easily get lost in the shuffle, but after people talk about the result of the game the talk of the water cooler is what commercials people like the best. Super Bowl LIII had some memorable offerings, with Bumble telling an abridged story of the empowering Serena Williams, Bud Light finally leaning into its "Game of Thrones" roots behind the "Dilly Dilly" campaign, and Jordan Peele continuing to dominate. Here are some of the top commercials from Super Bowl LIII. Serena Williams is on her way to becoming the winningest tennis player in history. She's just one Grand Slam away from tying Margaret Court's record of 24 Grand Slam victories, but it hasn't been an easy road there. Williams' journey is well established by now, but Bumble put its own spin on it. The Bud Light and @GameofThrones worlds collide #ForTheThrone. Game of Thrones, to some degree, definitely inspired the wildly popular "Bud Knight" ad campaign that kicked off Dilly, Dilly! Bud Light has a trophy erected outside of Lincoln Memorial Field in Philadelphia, and this was the crossover we had to see eventually. "Thrones'" final season kicks off in April, so it's some easy advertising for the phenomenon. T-Mobile -- What's for dinner? What is everyone eating next Tuesday?! We've all been here. There is nothing harder than picking what's for dinner. Luckily, T-Mobile is making the choice for us with free tacos on Tuesday, taking Taco Tuesdays to the next level. No, your TV was not fading out, and your pixels are fine. "The Twilight Zone" from Jordan Peele is premiering on CBS All Access April 1. Peele has been killing it, from "Get Out" to the upcoming "Us," so his take on the old classic should be well worth the watch. Stellas Artois has two classic characters deviating from their classic drinks. Carrie Bradshaw and The Dude eschew their normal cosmo and White Russian (respectively) for a "Stella Artoes," which is also going to a good cause. For the second straight year, the NFL is crushing its own game in advertising. After last year's amazing commercials featuring Eli Manning and Odell Beckham Jr. dirty dancing, the NFL celebrated with a gala. The results were amazing, from Terry Bradshaw to throwing to Tom Brady handing off his rings to Richard Sherman getting deked. Verizon Wireless -- "The Coach that Wouldn't be Here"
The Chargers' Anthony Lynn made an appearance with a spot that was directed by Peter Berg. Lynn, who nearly died after a hit-and-run, was saved by First Responders. This commercials pays tribute to those responders. Much like "Game of Thrones," "The Avengers" transcends being a movie. It's a phenomenon. The new TV spot shows the original Avengers trying to rebuild humanity after the events of the first part of "Infinity War." John Legend pairs up with Pampers to celebrate "Stinky Booty Duty," as he tries to change his kid's diaper. It proves to be easier said than done, but parents have to persevere somehow. Burger King -- "Eat Like Andy"
Old is in! Andy Warhol eating a Whopper is a vintage throwback, and this ad has the vintage ketchup bottle. Patrick Mahomes was probably a huge fan of this commercial. The Washington Post made a spot showcasing journalists who were killed or missing in the line of duty. Jamal Khasoggi, who made waves when he was brutally murdered, was featured at the end of the spot, as was The Post's line, "Democracy Dies in Darkness."